Come study the Psalms with us. Why the Psalms? The Psalms is more than a hymnbook meant for worship of the Jewish God. This collection of 150 poems describes people willing to have a real relationship with God worthy of His people’s belief, worship, and obedience. Some people squirm at the honesty expressed in the Psalms. One friend didn’t want to read the Psalms because in her mind, they were too depressing. She had difficulty with David being so honest with God that he would admit that he wanted his enemies destroyed or that he was downcast once in a while. As I’ve prepared for a group study of Psalms, I’ve found quite the opposite. David and the other writers dig for a relationship with God that goes beyond the motions of yearly sacrifices and good deeds. They want to know what God is like. They are searching for reasons why they should honor, trust, and obey Him. Yes, they admit momentary carnal thoughts. Why not? God knows what’s in our minds anyway! We might as well admit what we’re thinking. But the writers never stay at that point. They show their realness by working through their feelings to a point of being able to trust and praise God in spite of their feelings or their circumstances. God didn’t change. We did. Before we can become real again, we need to take a closer look at what makes God real. As we respond through praise, gratitude, repentance, and obedience, we become like God – we become real. That’s the essence of the Psalms—people who were searching for the real God and who were willing to take the risk of shedding their pseudo-image. People willing to drop the pretenses of the outer, duty-bound forms of religion and show God what they were really like, pretty or not, and that they longed to attain something better. You can study the Psalms with us in one of three ways. 1. Come to my local bible study each week. 2. Join our Facebook online bible study group where I’ll post a question to ponder each day pertaining to the Psalm and topic our local group is studying that week. 3. 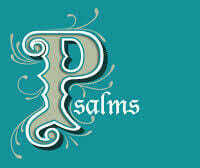 Check in on this blog each Monday morning where I’ll post a short study guide on a different Psalm each week. This group of Psalms will be different ones than our group is studying. With 150 psalms, we have lots of Psalms we can study! Because the Psalms are so content riches, there are as many approaches and perspectives to a study of the Psalms as a multi-faceted diamond. Keep in mind our study is a search for a real God and how we can respond to such a God with authenticity.